Ever thought about an online drug store? It is a good idea. An online pharmacy will be easy an easy way to order and purchase medications. Many customers for whom it is hard to walk to the nearest drug store will be glad to visit your medical store. Yet, you have to provide them with comfortable shopping features and advertise yourself in order to create an impression of a reliable business. 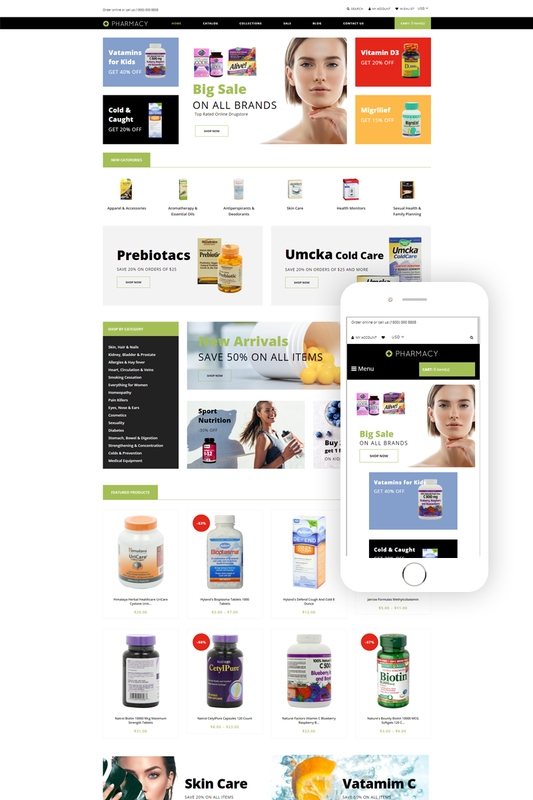 In order to help you do this, our developers created Pharmacy Shopify theme. 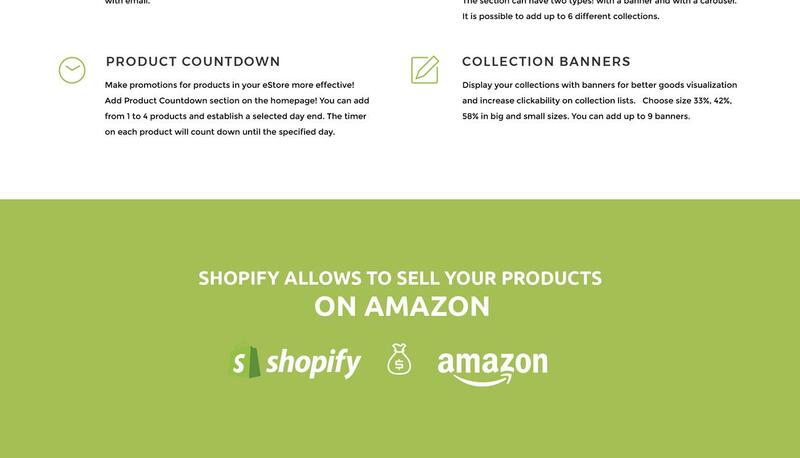 It has Shopify plugins for comfortable shopping and well-developed structure for intuitive navigation. Moreover, you can use a blog, newsletter and social media options for advertising means. It was designed in a clean style to suit perfectly drag stores, herbal shops, and pharmacies. And you can use it to sell any healthcare items: tablets, drops, herbal pills, syrups and so on.